Your brain is like a sleeping giant- its potential is far greater than was generally imagined. Even the commonly heard statement that on average we use only one percent of our brains may be well be an overestimation. Tony Buzan, the leading expert in the field, sets out to help you develop that astounding untapped potential. 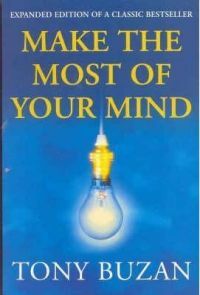 Essential reading for anyone keen to learn, read, memorise and think more efficiently, this classic bestseller explains clearly how your brain works and how to maximise its unrealised power. Anthony "Tony" Peter Buzan is an English author and educational consultant. Buzan popularized the idea of mental literacy and a thinking technique called Mind Mapping, earlier used by Leonardo da Vinci and others.